As you know, I have been working towards making a living as a writer. To do this, I have come to accept the fact that I must have web presence, social media, and a professional look. With my second book on the horizon, it’s time to get serious and start really promoting myself. This week has been all about that. I got in touch with an artist friend of mine, K. Swartfager at Nitsirk’s Grotto, and commissioned the cover for Fayling. She was also gracious enough to do a sketch of me, which I am using on my webpage and business cards. I decided to design a custom card. I’m hoping it is a bit more memorable, plus it never hurts to be unique. I already had a facebook account, but I have not been present on twitter. At the urging of another author friend, I got an account. Surprisingly, I’m having fun with that. 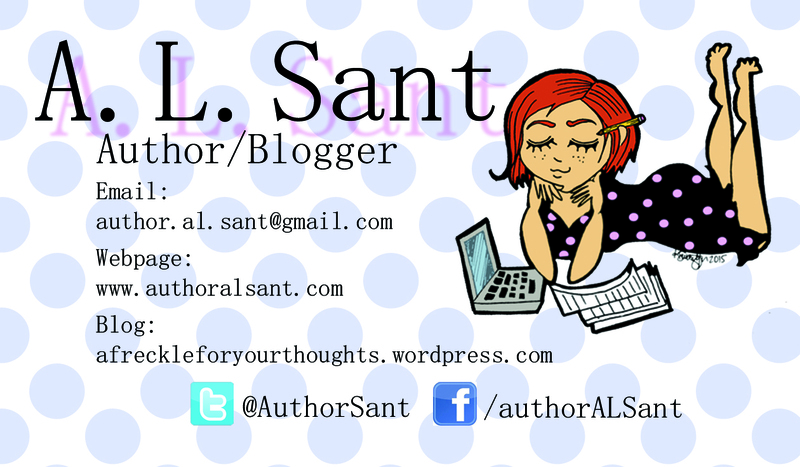 But the big reveal, and the professional edge I am most excited to announce, is my new webpage, authoralsant.com. Click the pic below to visit my page. What are you working on, reader? Tell me in the comments below.